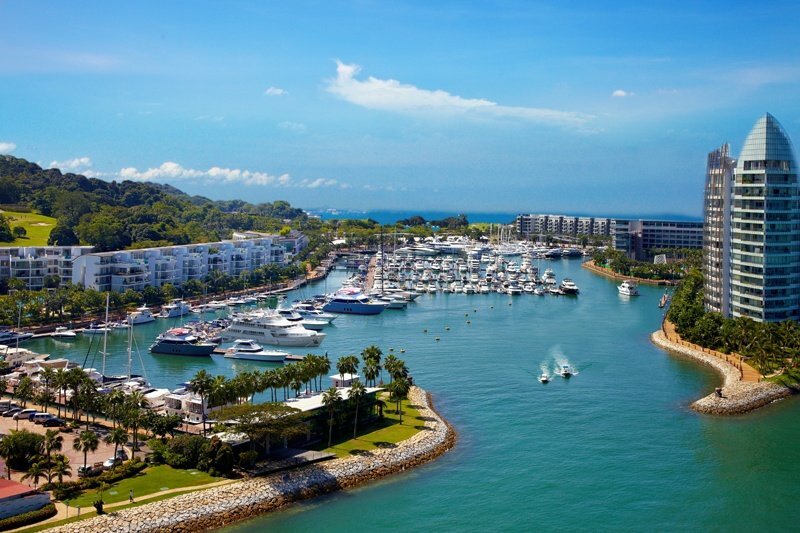 Within a protected cove of azure water, fringed by landscapes and the excitement of the bay area, ONE°15 Marina Sentosa Cove is among the few marinas in Asia to have full facilities to accommodate mega yachts of up to 200ft within the shelter of a safe, deep water basin. The exclusive and luxurious waterfront lifestyle destination was founded in 2007 and complements its outstanding berthing capacity with a comprehensive clubhouse equipped with world-class facilities. As a six-time winner of Best Asian Marina, ONE°15 Marina Sentosa Cove is the first ‘Fish Friendly’, ISO 14001 accredited marina in South East Asia. It was also the first and only Southeast Asian stopover for the world’s premier offshore race – Volvo Ocean Race, amongst hosting other international yachting events such as Singapore Yacht Show, SB20 Grand Slam and Clipper Race.